The Best Dominican Republic Map! 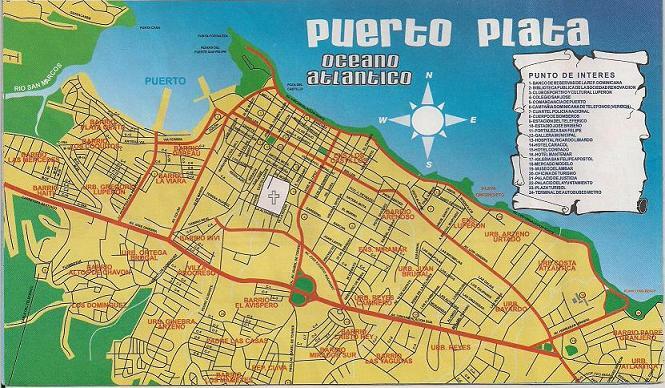 map, Puerto Plata map and many more. of the Dominican Republic periodically. 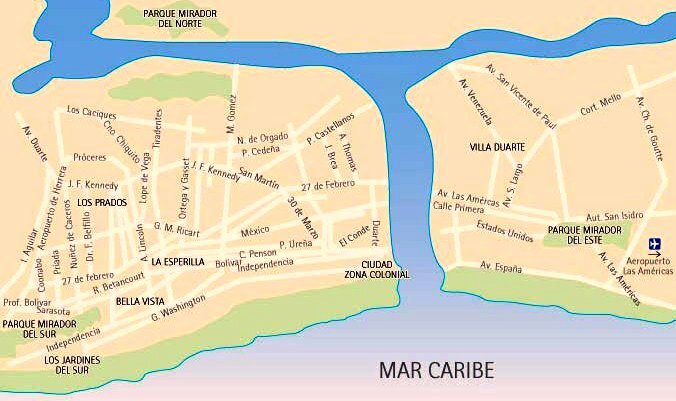 This is a map of Santo Domingo's Colonial Zone. Most of the touristic attractions of the area are located here. 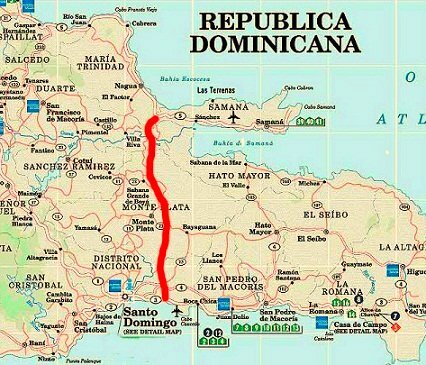 Here is a road map of the city of Santo Domingo. Santo Domingo to Bavaro Beach Punta Cana. 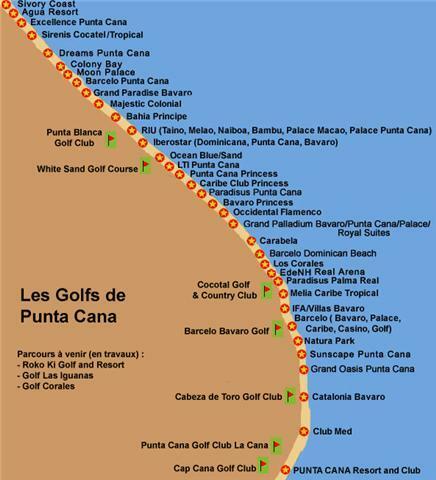 This is where most resorts are located in Punta Cana. Click on View Larger Map to see the detailed directions. This Punta Cana Map shows the East Coast of the Dominican Republic. As you can see Punta Cana is where the airport is located. Most of the resorts are in the Bavaro Beach area. The Punta Cana area has somewhere around 50 all inclusive resorts. Here you will find their location. Some of the resorts might have changed their name. They are always building new resorts as well. Punta Cana resorts to read reviews! This is a more updated Punta Cana Resort Map. You can also see the Golf Courses available in this area. Sosua and Cabarete are on the North Coast of the Dominican Republic. Puerto Plata's airport is the closest to Sosua and Cabarete. 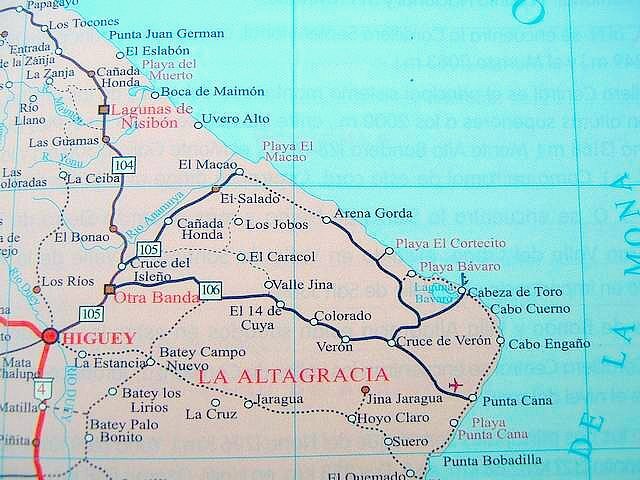 Puerto Plata is located west of these two locations. 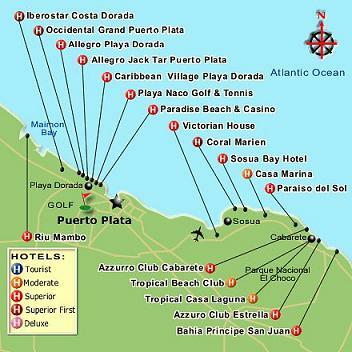 This map shows the resorts on the North Coast of Dominican Republic. 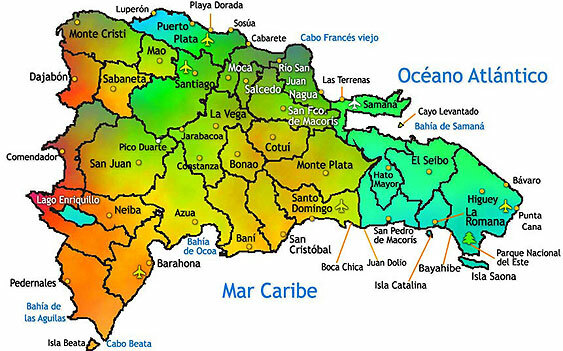 The area of Puerto Plata, Sosua and Cabarete. Do you have a great Punta Cana Resort Map you would like to see on this page? Submit it! Add a comment and it will appear on a Web page exactly the way you enter it here. Submitting your Map is easy! Click the browse button and find the picture on your computer. Select it and click on the open button to choose it. Then click on the link below if you want to upload up to 3 more images.